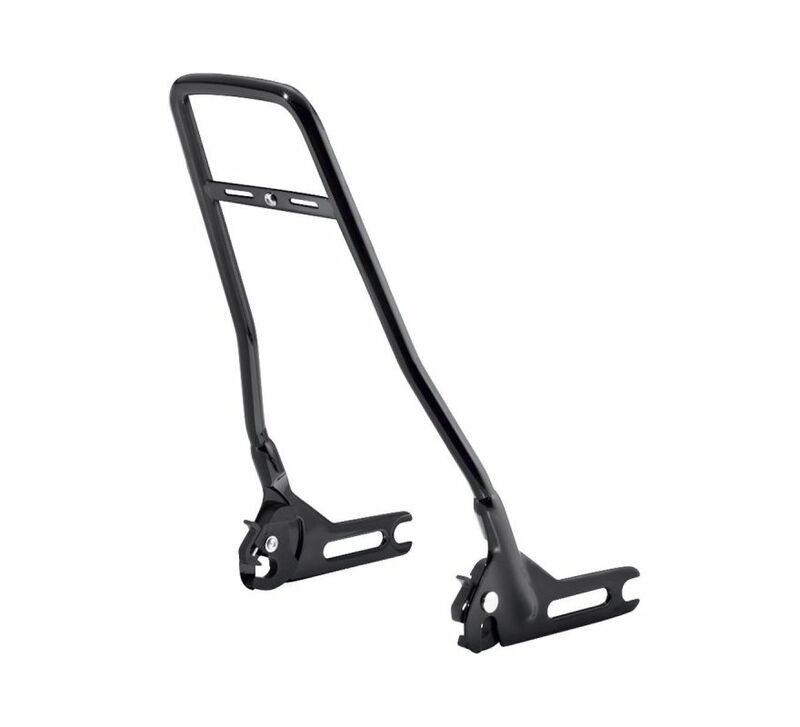 Sweeping curves and a sleek gloss black finish add a custom look to this Passenger Sissy Bar. 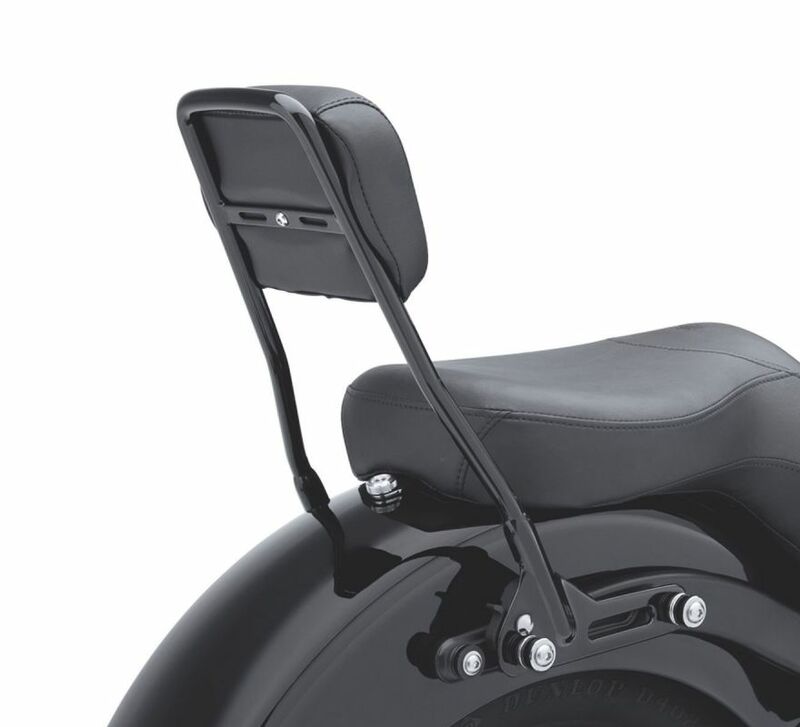 Featuring a slotted base and beefy solid bar upright, this backrest is the perfect complement to the brawler-style Blackline® model. Fits '11-'17 FLS and FLSS and '11-'13 FXS models. Requires separate purchase of appropriate Docking Hardware P/N 53932-03A and Turn Signal Relocation Kit P/N 54296-11. Models equipped with Side-Mount License Plate require Relocation Kit P/N 67900127A. Models equipped with a center-mount license plate and fender-mounted reflectors require installation of additional components (sold separately): Red Reflector Kit P/N 67900223 or Amber Reflector Kit P/N 67900224.